What is the best way to avoid a car accident? What’s the best way to take pictures after a car accident? How do I find the best car accident attorney near me? If you’ve been involved in a car accident, and you’re looking for the best car accident attorney near you, then you need to do your research. You should find a personal injury attorney that has a proven track record of success and happy clients. You can find a good attorney in a variety of different ways. You can ask your friends and family members if they recommend anyone. Car accident cases are very common and it is more than likely that someone you know has had a good experience with an attorney that represented them after a car accident. The reason why car accident cases are so common is because insurance companies do not treat injured victims fairly. If insurance companies treated injured victims fairly, there would not be a need for personal injury lawyers to help make sure that insurance companies pay injured people what they deserve. Another good way to find the best car accident attorney near you is to do some research on your own. 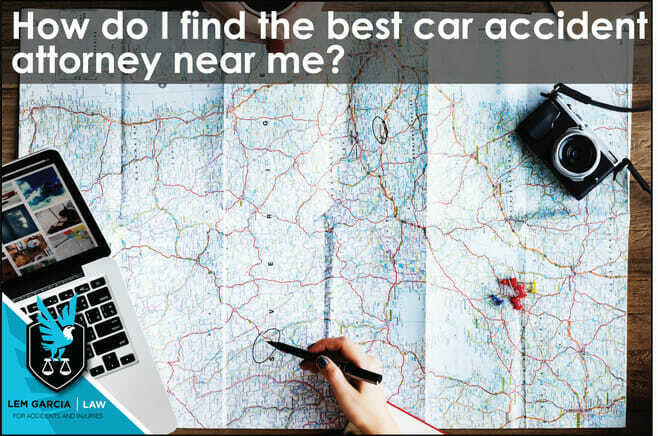 If you perform a google search for a car accident attorney near you, you will find a lot of lawyer websites that will help you decide who is best for you. You can visit each of the websites and then decide who you feel most comfortable with. A google search will also provide you with third-party review websites (like Yelp), that will tell you how well-liked a particular law office is. Yelp and other third-party review websites will be very helpful to you in determining who should represent you. Read the reviews, and you will find out what other people think about a business. You will also find out a lot about the attorney and the business because there will be pictures and descriptions about the lawyer’s law practice. Choosing the right personal injury lawyer is very important. Do your research and make sure that it is someone that you like and trust. Do not just choose someone because they have a huge billboard or because they have the largest advertisement in a magazine. Find out who people like, why they like them, and decide if you will trust them with your case. In the end, it’s all about how much you trust your attorney with your case and if they will deliver results for you. Lem Garcia, car accident lawyer in West Covina, provides free consultations without any obligation. Get the advice you’re looking for without any pressure.